We are introducing a new program this season and you should BEE excited! Have you ever wanted to learn what it takes to become a successful beekeeper? Are you currently a beekeeper looking to expand your skills? The American Innovative Beekeeper Academy, with qualified Master Beekeeper Ali Mousavi, offers a supportive Academy team to assist in the education and application of being a beekeeper. Like a beehive, a community of beekeepers is much more viable than a lone individual. The Beginner course is suitable for individuals who have no beekeeping experience. This course is also for those who have had a previous rocky start as a beekeeper and want to begin anew (Saturdays, 3/2-3/30). The Journeyman course is for beekeepers who have at least one year of experience. If you are ready to challenge yourself to expand the breadth and depth of your honeybee knowledge base, then you are ready for this course (Tuesday, bi-weekly, 2/5-4/2). For more information on times, cost and registration visit www.kvparks.com. Speaking of bees, save the date for The Honeybee Festival for Saturday, August 17. If you are interested in sponsoring this annual event, reach out ASAP – spots are filling up fast. Authentic arts & crafts and food vendor’s registration will begin March 1 at kvhoneybee.com. Kernersville Parks and Recreation (KPRD) athletic programs offer organized sports opportunities for youth and adults. Registration will begin for our spring athletics this month. Adults ages 18+ can form or join a team and participate in Softball, Kickball or Soccer. For each league, team registration is offered. There will be a captain’s meeting one month prior to each league’s opening day. Rules, scheduling, questions from managers, and any other information will be discussed and handed out at this meeting. Information about each program is listed on our website (www.kvparks.com). Pricing, game days and league dates may vary based on league demands each season. Come out to Fourth of July Park this spring and improve your tennis skills with Coach Rod Pearson. Mentor Tennis, Ltd. is in their 9th year of serving the Kernersville community with group tennis lessons every Saturday morning for 8 weeks starting March 9. These classes are for Beginners and Intermediate tennis players. Class sizes are limited, so please send your registration in quickly. Email mentorent@gmail.com or call 336-459-0647 for more details. Heartsaver CPR / First Aid – These are two separate classes that teach you the critical skills needed to manage an emergency until EMS arrives or emergencies including cardiac arrest and choking. Join Ricardo Davis on Saturday, February 23 at our Community Recreation Center. For more details visit our website or email instructor at r.davis@heartsaverusa.com to register. Dance Classes – Every Monday this program season, age’s 4-6 dancers are introduced to ballet, tap & jazz while exploring movement and music in a fun, creative way. Ages 7+ dancers are introduced to ballet, tap and jazz sequences. You can find times and details on our website. Class size is limited, be sure to register in advance to ensure a spot. So, now that you are finished with the shopping, decorating, present-wrapping, cookie-baking and family-visiting, here is something else you should start to think about in the New Year: planning your child’s summer! There is no such thing as being too prepared as a parent. Deadlines for school, extracurricular activities and camps come and go in the blink of an eye, so you can never check things off your to-do list too early. KPRD recreational camp features creative group activities and opportunities for individual growth. 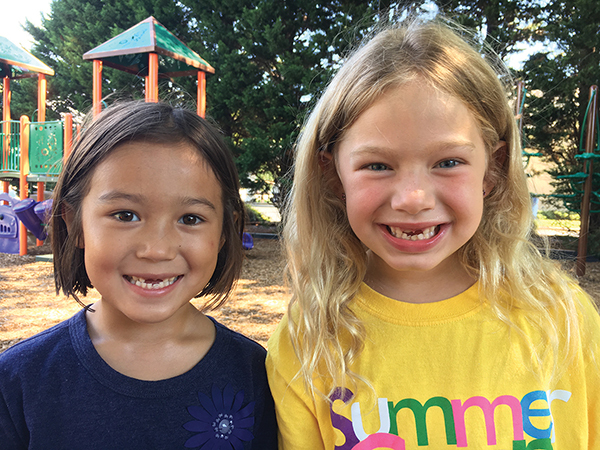 Our goals are simple: to provide positive experiences for the development of leisure activities, good sportsmanship, positive self-esteem, respect for others, teamwork, self-swimming, service and a fun field trip each week! This camp is specifically designed for youth 6-12 years old. All summer camp counselors are employed by the Town of Kernersville. We are currently looking for responsible counselors for this year’s camp. Must be age 17 or older to apply. If interested, please contact Cady Ray at cray@toknc.com. The camp runs for eight weeks from June 17-August 16. Registration begins March 12. Visit www.kvparks.com for full details and early bird deadlines.